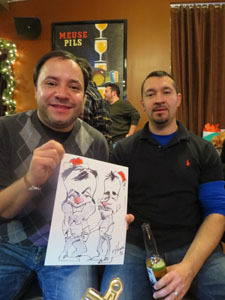 This was a December Holiday party for an architecture firm. 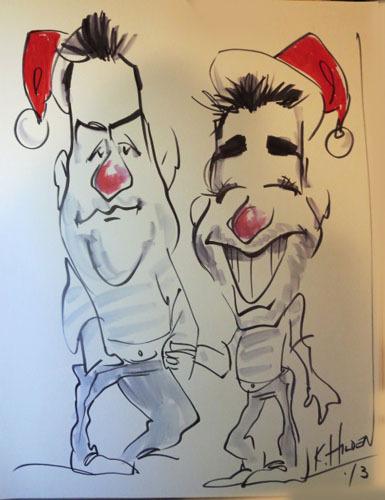 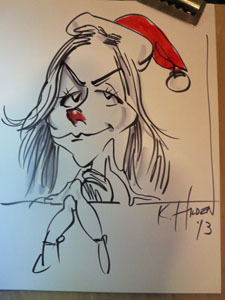 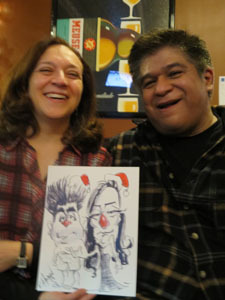 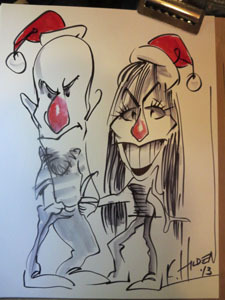 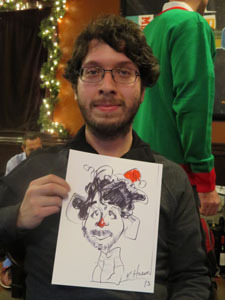 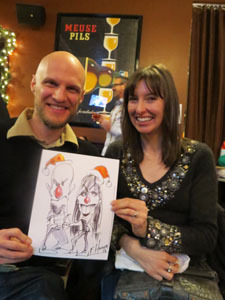 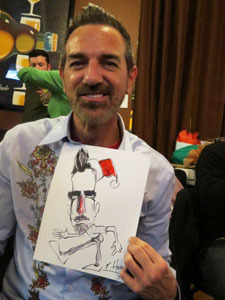 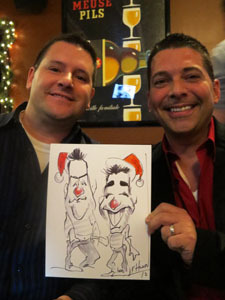 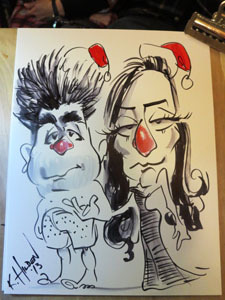 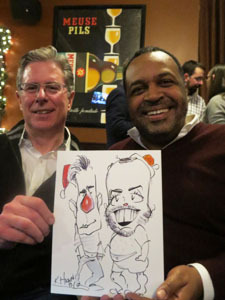 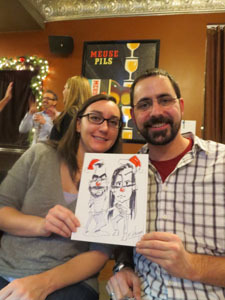 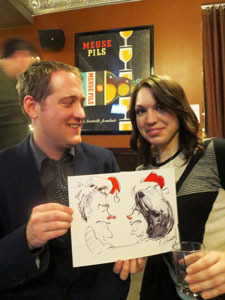 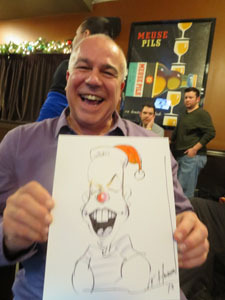 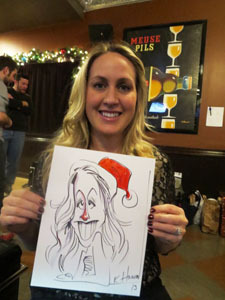 We’re at the Seven Ten on Lincoln Ave: food, drinks, bowling, out of the Chicago cold and …caricatures. 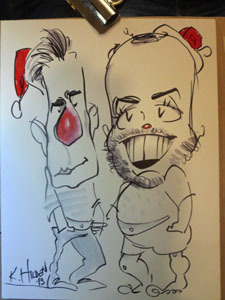 I was asked to add something chrissmassy, so I gave everybody a Santa hat and a red nose. 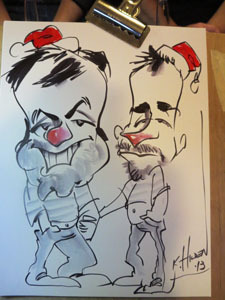 This really went over big, lots of hilarious responses. 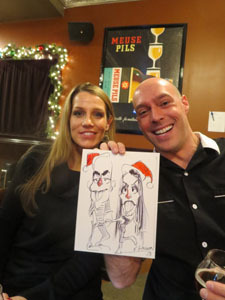 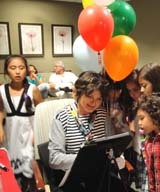 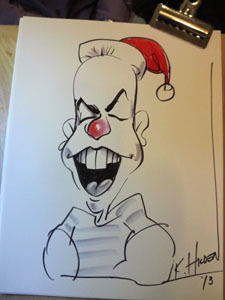 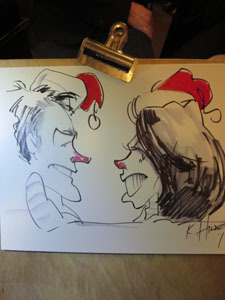 The art of caricature relies on minimal touches. 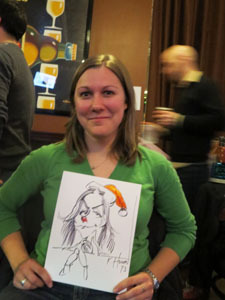 Just two spots of red and bang! 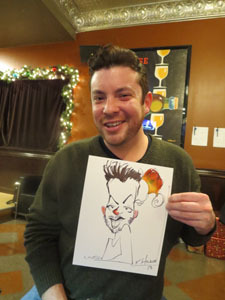 Cracked everybody up.